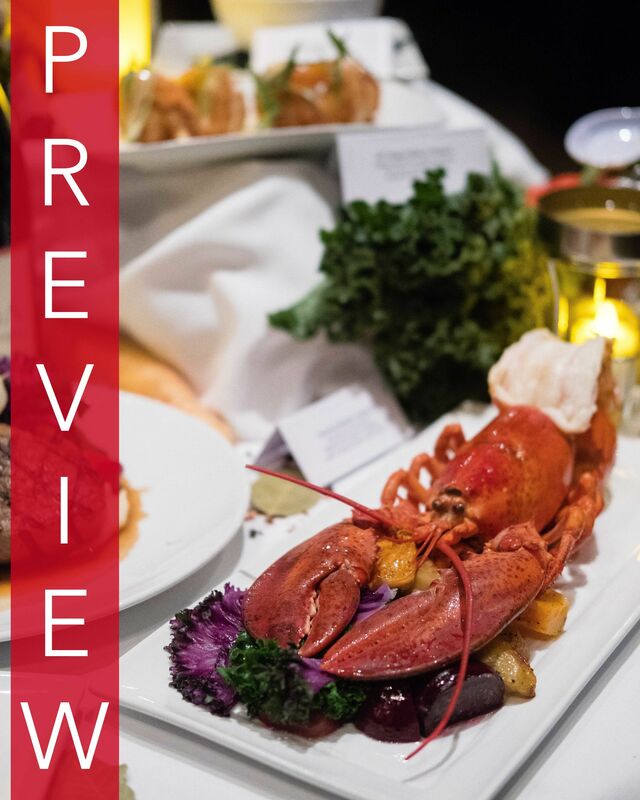 Dine Out Vancouver, the biggest dining festival in Vancouver, BC, is fully underway until February 3rd, 2019 so a ton of restaurants are now doing previews inviting media and bloggers in the city to try out and showcase their prix-fixe menus. For me, that preview was a tour of 3 restaurants at my favourite tourist destination in the 604: Granville Island. After visits to Dockside Restaurant, The Sandbar, and The Vancouver Fish Company, I've got the goods for you to see with your own eyes what you can expect with a reservation at any of these restaurants. Located inside the Granville Island Hotel, Dockside Restaurant is a staple eatery in the hotel scene with a large lounge and dining room that gives an eastern view from Granville Island towards False Creek. The Dine Out Vancouver menu contains only items exclusive to the dining event which is a great plus. I've captioned all images below and suggest the following order, based on my own preferences and creative biases: Korean-Spiced Arancini, Singapore Seafood Curry, and Apple Pie "Lollipop" A La Mode. Another mainstay in the Granville Island dining scene is The Sandbar. Hailing from the same parent company that produces Cardero's, Seasons in the Park, and the Stanley Park Teahouse, this is a restaurant group that knows how to pick panoramic locations. For The Sandbar, that's a northern view towards False Creek and downtown Vancouver. Food-wise though, if you're prowling through the $35 menus, you might be happy to find a taste of sablefish on the appetizers. In my prior research of Dine Out Vancouver 2019 restaurants, sablefish was normally found as an entree on $45 menus so here's an opportunity to try sablefish at a lower price point. My suggestion for ordering is: Sablefish Croquette, 6 Oz New York Striploin, and Buttermilk Panna Cotta. The Vancouver Fish Company (VFC) is the most appropriately-named restaurant on Granville Island. It takes residence in the former space occupied by Whet and offers a great view of the Fisherman's Wharf in Vancouver. The menu here is superb in the fact that it's the only one offering a whole lobster as an entree. Most menus I scoured on the Dine Out Vancouver website at $45 were offering sablefish, ling cod, or salmon for the seafood option. Nobody comes close to this shellfish offering as it's presented at VFC. My recommended order is: VFC Seafood Chowder, Poached Atlantic Lobster, and New York Cheesecake.